These homemade dog treats are made from quality ingredients and always made in the USA. 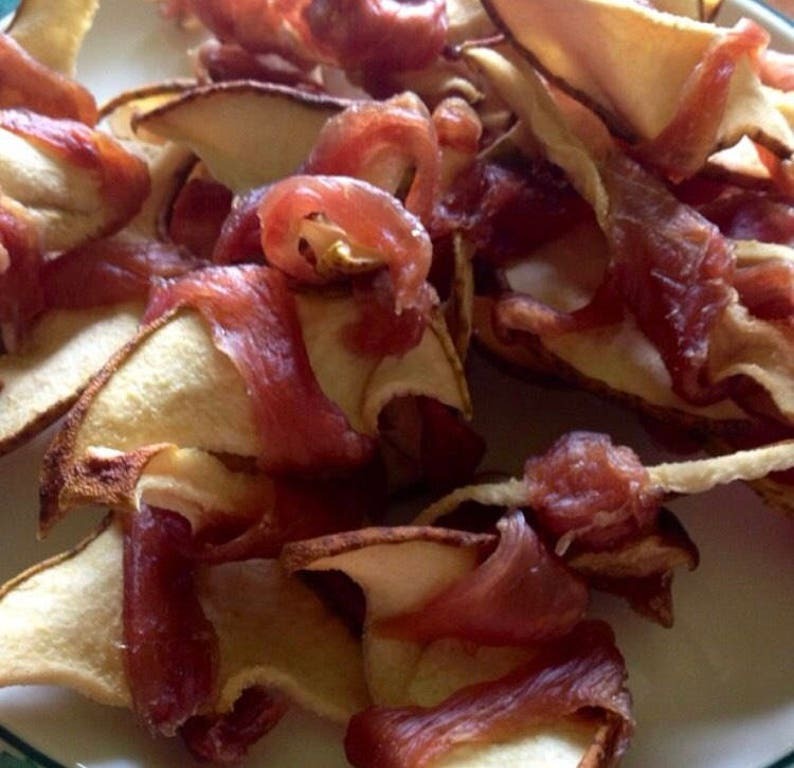 They are pork that is wrapped around a wedge of pear and dehydrated. My pup loves all of the treats from Dog Jerky Co! We are repeat customers and will be back again! Thanks for the great dog treats! He loves them!